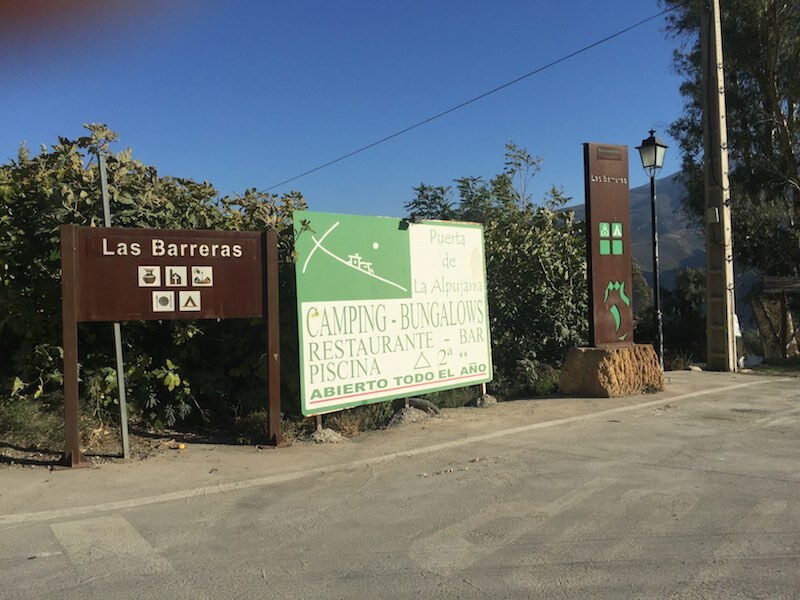 This post may be of interest to those who know this area well, in particular, locals who knew ‘Upper Camping’ – officially Camping Puerta de la Alpujarra. As of today it has, literally, bitten the dust and looks like a modern day Pompeii. 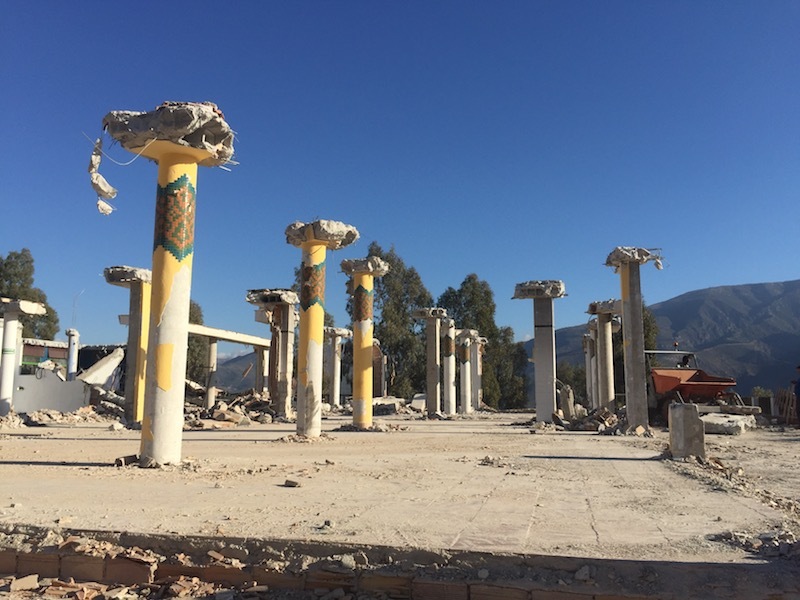 It’s a sad sight and (was) a landmark – its red pyramid-like towers puncturing the blue sky above the Sierra de Lújar are no more. A week ago a green fence was erected around the place and, in just days, the building has been razed to the ground. A gaggle of Bobs (without hard hats or hi-vis jackets, this is Spain after all) have been trashing the joint ever since. The once glistening pool now looks like the Gate of Hades; drained of water, green and unloved. And the vast entrance/parking area – a common spot to turn the car around if you missed your turning – is churned up and now looks like a beach, so expect some umbrellas and barbecue-in-a-boat to turn up soon. Maybe that’s what it should become; a themed ‘ancient ruin’ destination with sand, grilled sardines and easy access to town. 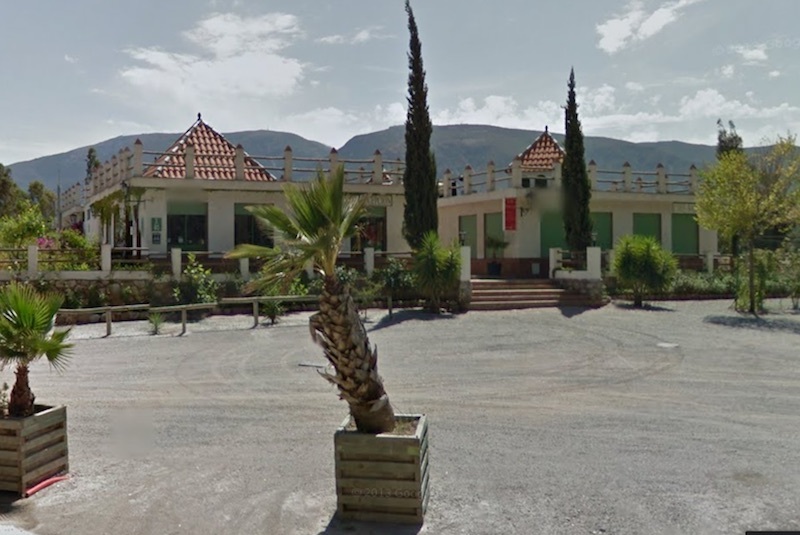 The place had become a bit of a ghost town over previous years and, in such a prime location on the main road between Órgiva and Lanjarón, it was only a matter of time someone snapped it up (for 600,000€ we understand) for redevelopment. 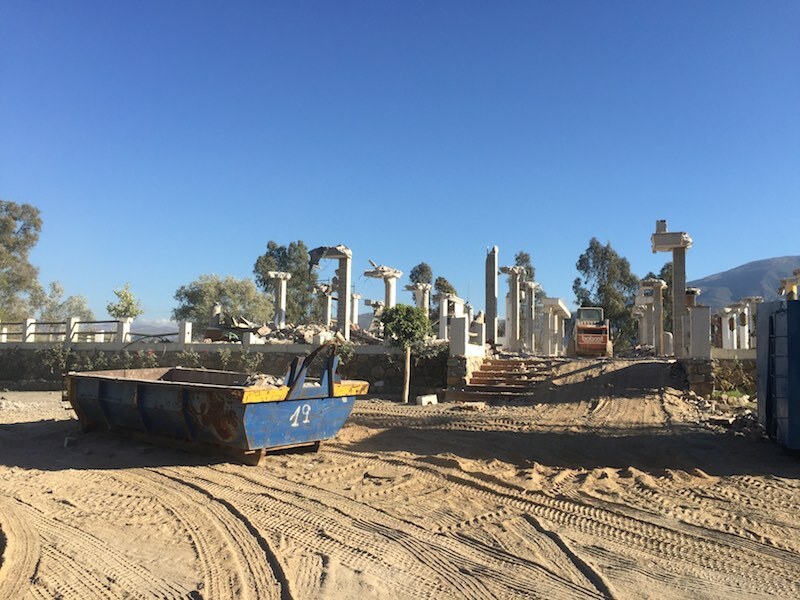 If anyone has any more information – or wants to correct any inaccuracies – about the redevelopment, please add a comment below.